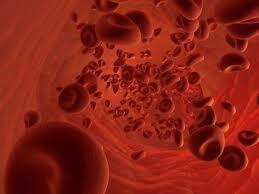 Statistics: In September 1992, 128 children were being treated by a paediatrician for sickle-cell disease. Two children had parents born in the Netherlands, but all children were of other ethnic origins, mainly from Surinam, the Dutch Antilles, Turkey and Africa; 50 children were born in the Netherlands. 31 children were under treatment for thalassaemia major, none of them of original Dutch descent; the most frequent ethnic backgrounds were Turkey and Morocco; 20 children were born in the Netherlands.